You’ve seen them in action at the football games, parades and pep rallies. Well, now is your opportunity to get off the sidelines and be a part of the action! 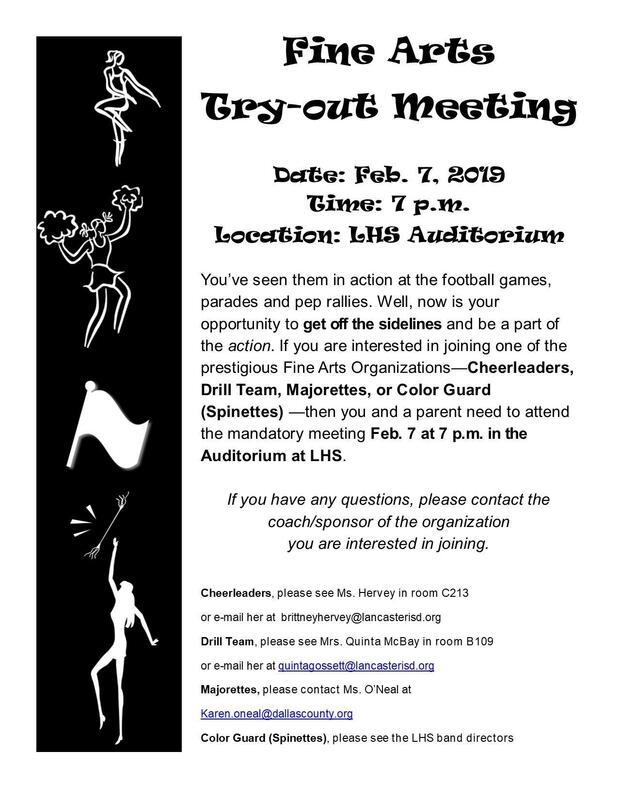 If you are interested in joining one of the prestigious Fine Arts Organizations—Cheerleaders, Drill Team, Majorettes, or Color Guard (Spinettes) —then you and a parent need to attend the mandatory meeting Feb. 7 at 7 p.m. in the Auditorium at LHS.